It did not take long for the Borough Cup to gain some noteworthy supporters. Not long after announcing the tournament received endorsements from the five-boroughs' most prestigious leagues and organizations, as well as support from every Borough President. “I am obsessed with the game of baseball so I absolutely love the idea of The Borough Cup,” says Staten Island Borough President James Oddo. “This competition will energize youth baseball across the city and allow young people from all over the five boroughs to interact." With the help of the New York Yankees, New York Mets, and Major League Baseball, the Borough Cup debuted in 2014 with 102 participating teams. "It is exciting for us to host the Borough Cup at Yankee Stadium," says Yankees Chief Operating Officer Lonn Trost. "We hope that providing this opportunity to the local youth inspires them to do great things on the field and in the community." In 2016, the Borough Cup received tremendous validation as a recipeint of a Youth Baseball Partnerships Grant from the Major League Baseball Player's Association. The tournament was honored alongside initiatives by players such as Ken Griffey Jr., Curtis Granderson, and Andrew McCutchen at a special ceremony at Citi Field last June. Former Mets GM Omar Minaya, a native of the Dominican Republican who was raised in Queens, was a driving force in securing the funds. 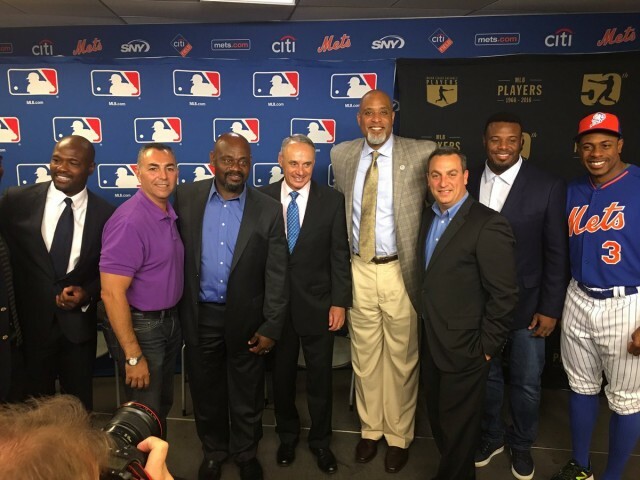 Minaya has been a passionate proponent of promoting youth baseball in NYC for his entire adult life and has made that a priority in his role as Special Advisor to the MLBPA.